Find healthy Mexican food at El Torito Restaurant. El Torito, a Mexican restaurant chain that first opened in 1954, now has 68 locations throughout California and one in Oregon, as well as several franchises overseas in the Middle East, Turkey and Japan. The chain specializes in cuisine prepared from scratch using fresh ingredients, but their portions are quite large so if you're watching your weight you'll need to choose carefully from the menu to choose those items best for your diet. The spinach enchilada entree has 470 calories, including the side dish of vegetarian beans known as frijoles de la olla. 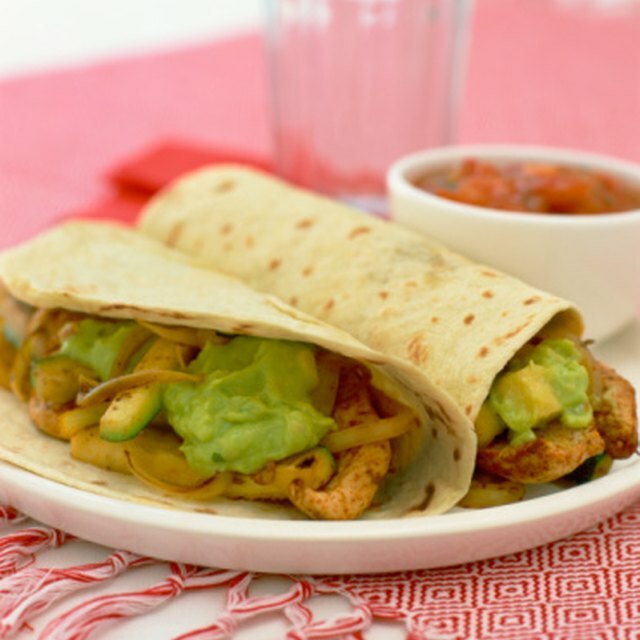 The soft tacos can be low-calorie if you order them off the a la carte menu and limit yourself to just one or two: the chicken tacos have 220 calories each, while the steak tacos have 240 calories. If you do get the tacos as part of a platter, be aware that the rice adds 150 calories and the frijoles de la olla add 155 calories. A bowl of chicken tortilla soup is fairly low in carbs, with just 12 g per serving. 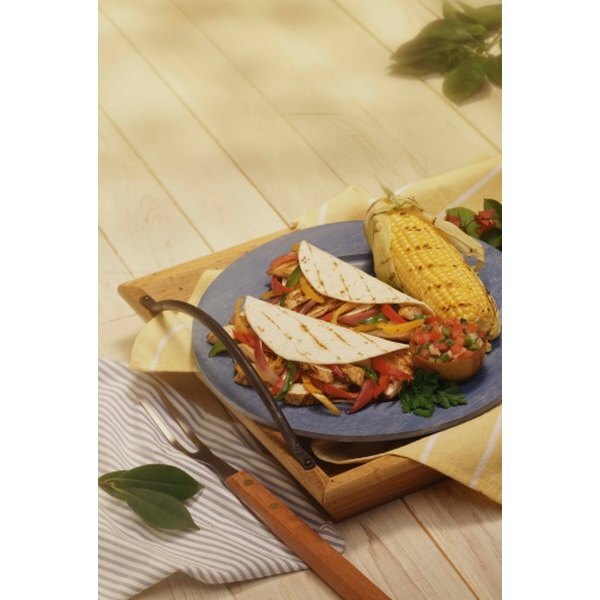 The grilled chicken breast fajitas with vegetables has just 17 g carbs, not including the sides of beans, rice, tortillas, guacamole and corn cake. If you'd like a one-bowl meal where you won't be tempted by carb-heavy sides, the grilled chicken Mexican Caesar salad has 20 g carbs, and the cilantro pepita dressing only adds 1 g carbs per 2 tbsp. serving. If you want a truly low-fat meal at El Torito, you can always order veggie off the side dish menu: the frijoles de la olla have just 1 g fat, as does the Mexican-style rice. For a more substantial meal, try the grilled chicken taco salad, with just 10 g fat. Be aware, though, that the cilantro pepita dressing adds an additional 14 g fat per 2 tbsp. serving, so you may wish to ask for it on the side. Nutrition consulting organization Healthy Dining recommends the chicken enchilada and the chicken soft taco as being "sodium savvy" if ordered a la carte. The enchilada contains 430 mg sodium, which is just 18 percent of the 2,400 mg of sodium recommended as a maximum amount by the Food and Drug administration based on a 2,000-calorie daily diet. The soft taco has 510 mg sodium, or 21 percent of the recommended maximum amount. Two menu items to steer clear of are the Sonora-Style Quesadilla Platter and the Fiesta Grande Platter. The former has 1,800 calories, 40 g fat and 144 g carbs, while the latter packs 2350 calories, 150 g fat and 140 g carbs. If you find these dishes too tempting to pass up, see if you can split one with a fellow diner, or at least ask for a doggy bag so you can save half for later. What Is a Low Calorie Mexican Food Option?